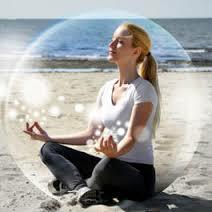 When I work on clients I sometimes sense that they need to work on shielding or protecting their energy field. The purpose of shielding is twofold: first, to keep our positive energy raised and intact; and, second, to block negative energy from people or situations that either drain us of positive energy or bring negative energy into our aura or spaces. 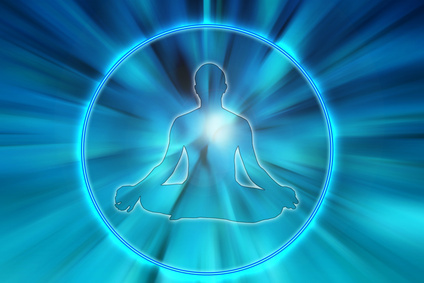 The practice of shielding is based on intention and visualization and is powerful and empowering. The practice can be quite simple but should be repeated twice a day (first thing in the morning and at night) to be effective. Let’s reflect on the quote on the right from physicist Nikola Tesla which states “If you wish to understand the Universe, think of energy, frequency, and vibration”. The need for shielding is the recognition that all things in this universe are made of energy and that energy transfers that can occur between people and other people and their environments. Do I feel drained after being around particular people or situations? Do I sometimes find after I am around certain people who are negative or complaining that my mood has changed from a positive to negative? If someone tells me a sad story do I begin to feel their sadness (feel tears forming) even if I don’t know the people involved or am not directly affected? Can I pick up on someones’ moods or a mood in a room easily without a word being said? When I am in a crowd attending an event or going about my day do I get overwhelmed and tired? Do I sometimes find after spending time in a toxic environment or situation I feel toxic or not well? Am I in a lot of co-dependent or toxic relationships? Do I have a hard time saying no or setting boundaries with people? If you answered yes to one or more of these questions you would benefit from practicing shielding. Some people will be more sensitive to taking on negative energy or losing positive energy than others. People that are empaths tend to be emotional sponges taking up the energy of whatever or whomever they are around. Those are also those with emotional wounds or physical injuries/traumas may have breaks or holes in their aura that allow this energy transfer process to happen more easily. When I work on my clients I will often see signs that they either have picked up foreign energy or have what will I describe as an energy drain or leak. It might be foreign energy the have internalized that they picked up from another person, it might be a residue of negative energy from other people or stressful situations just outside their auric body, a weak or “drained” chakra, or a coloured energy cord to another person that leaves their body. When I share my observations with them they will usually know exactly who it is that they took on energy of or who is taking energy away from them or as they often describe, “sucking the life” out of them. It’s not uncommon to see or hear about these same symptoms in other practitioners or students who come to see me for treatments. They will work on someone with a physical ailment and then later feel the same pain in their own body, even though they don’t have a history of an injury or problem and it later goes away. 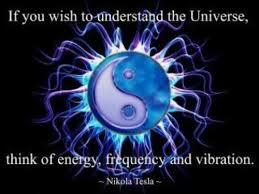 This is why I have added this concept to my Level Two Reiki course. Shielding is especially important for people working in the health and wellness field. Often empaths are drawn into this field because they want to help and heal others (e.g., counsellors, teachers, nurses, doctors, or other healing modalities). Some people will ask “Do I really need shielding? I’m a positive person focused on positive things”. My answer is yes you absolutely do. Many of us are working so hard to raise our frequency and seeking more positivity and happiness, so why would you want to let disbelief or naiveté about a concept limit you? Be open-minded, give it a try, and see how it feels for you when you start to shield. Do you start to notice you can be around people who formerly completely drained you and now you feel less drained or no different from right before you spent time around them. 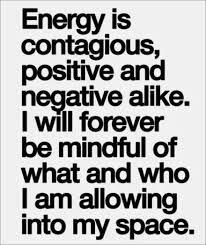 It is also important to note that shielding yourself from negative people or situations does not create a barrier to taking in positive energy. You are still open to connecting with people in positive loving ways. The key to shielding is to find an exercise that resonates or feels right for you. A simple shielding exercise is to picture yourself surrounded with white or pink light. Use whatever colour appeals to you. You can do this in the morning and ask any negative low-frequency energy to be cleared away. Set whatever intention you wish for either in your mind or out loud. During the day when you are around people or situations that drain you can can visualize the shield circling around you. You can even envision your office space or home space being shielded with the same light. At night before bed, you can ask any negative energy you picked up to be cleared away and then picture yourself being wrapped in a protective loving light. It’s a lovely way to fall asleep. I teach a more detailed shielding exercise in my Reiki Level Two class, which I use twice daily myself. You can find similar meditations on YouTube as well. Just remember to explore until you find something that feels right for you. You can also use this shielding practice to gain awareness about the nature of your energy exchange in your relationships with others. It can help you identify relationships or situations that are not “healthy”. I’d love to hear from you on your experiences with shielding. Namaste.